Wallaby’s U20s scrumhalf Ryan Lonergan took one hell of a shot in the recent clash between his side and the Fiji U20s team in the Oceania U20s Championship. The unlucky scrumhalf came off a distant second best as he attempted a covering tackle on Fijian U20s wing. Lonergan – who’s attached to the ACT Brumbies – was stretched off, clearly struggling in the aftermath of the collision. 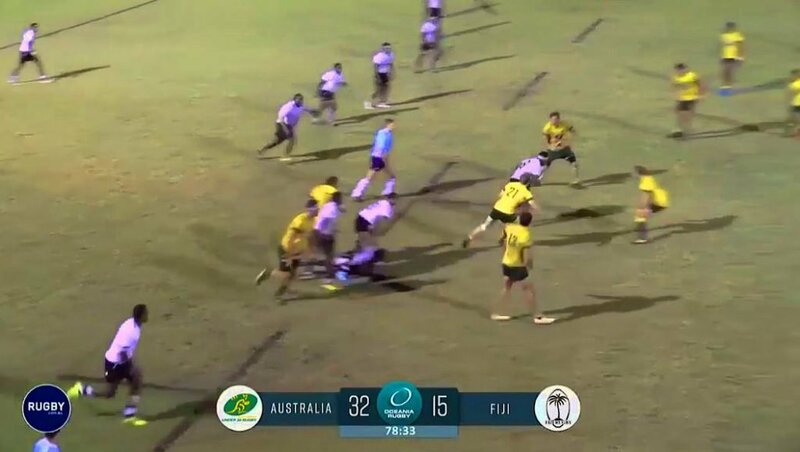 Australia ultimately came out on top, but a spirited Fijian side won more than their fair share of collisions on the night.